Celebrate and share your marriage with family & friends in this romantic and inspiring location. A truly unique venue that cares about your big day. 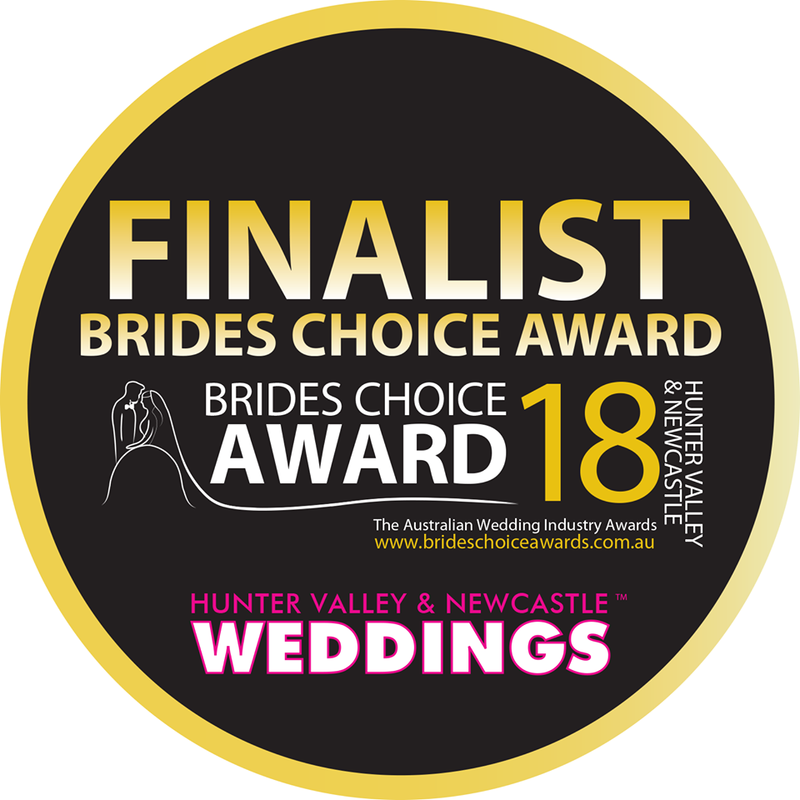 in the renowned Brides Choice Awards in 2018! Local brides were asked to vote on a maximum of five wedding suppliers that they believed went beyond the call of duty, professionalism, value for money, excellent customer service and exceeded their expectations. Brides were only restricted to voting once. How amazing to receive such outstanding feedback from our happy couples! Your ceremony on our private Lawn. With its purpose-built Arbour and rich backdrop of native trees and shrubs, you & yours will appreciate a real sense of intimacy for your ceremony. Be guided through the manicured greens, lakes, and bushland within the grounds of Pacific Dunes, providing stunning scenery and magical backdrops for your important wedding photographs. Indulge your guests with lawn games, nibbles and drinks on ‘The Orangery’ Lawn. Our award winning team are foodies at heart! We love to impress with exceptional food and service. The Greenhouse is the perfect setting for your special day. The ‘sense of arrival’ to The Greenhouse is calming and beautiful. The building timbers embrace the rural setting, mixing with the very modern in a contemporary style. The terraces with sliding glass walls bring the outside in to this high ceiling, bright venue. Unique event space for intimate celebrations, or parties up to 180 guests, including versatile configurations and classic blonde bentwood chairs, with features such as high ceilings and a stunning stone fireplace. To find out more, complete your contact information below & download our brochure. Your privacy is important to us. Your details will be kept confidential at all times and not passed on to a third party / supplier without your authority / permission. To arrange a time to visit, email events@thegreenhouseeatery.com.au or call 02 4916 0500. I just wanted to say thank you so much for all your assistance in making Matt & my wedding day so perfect. The venue looked beautiful, perfectly set out and no request made of the staff was too hard, which was appreciated. Kelsey also did a great job to assist us. I just wanted to send my personal thanks and gratitude to work with such friendly and knowledgeable event professionals. Thank you so much! I could not have asked for any more on our wedding day. You guys were amazing and I have only had awesome feedback from all of our friends and family. Our Wedding at The Greenhouse was truly magical and could not thank Elizabeth enough for her help throughout the entire day. Thank you so, so much for hosting our wedding. It was beautiful and everything was perfect. Everyone commented on your professionalism and control of the event. Say thank you to all your staff. My family loved that they remembered their names, very personal and meaningful. I absolutely loved the fact that when we asked for a drink they said they will come find us. So nice to feel like a princess for a day!